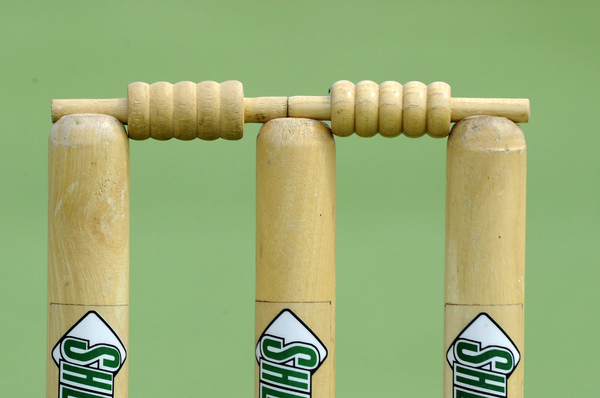 The race for the finals heated up after a dramatic Round 10 in the Ferntree Gully and District Cricket Association, with no less than seven teams still a chance of playing cricket into March. Upwey travelled to The Basin looking to cement its place in the finals by chasing the Bears’ 222. Matt Mulcahy reached 39 to help kick off the chase before departing at 1/56. Kyle Snyman (20) and Jordan Whetstone (57) saw the Tigers to 2/114 after 50 overs. What looked like solid foundations were undone by Jake Sherriff (3/43) and Blake Walter (5/40), who between them wrapped up the reply, the Bears getting on a roll claiming 8/66 between them to dismiss Upwey for 180. The Bears sit 12 points clear on top of the ladder with two rounds to go. The Tigers slipped out of the top four, back to fifth place. Eildon Park made light work of the remaining target at Knoxfield, finishing the day early at 4/106. After Cody Morris’s 36 last week, Josh Dowling (30) was the only wicket to fall on day two as the Panthers wrapped up the play. The Panthers jumped into the top four after three straight wins, including against top-two opposition. The Knights fell to third on percentage. Ferntree Gully Footballers gained on the Knights’ misfortune, the Griffens jumping to second on the ladder after accounting for Ferntree Gully. Chasing the Blues’ 191, a second-ball wicket had the home team in good spirits, and shortly after the Griffens were 2/16. But Cohen McElroy (83*) and Radhik Gooneratne (80) put on 139 for the next wicket to set the tone. The visitors soon wrapped up the match, hitting 3/192 from 60 overs. The Griffens are now 0.3 per cent ahead of Knoxfield, while Ferntree Gully will be looking for a much-needed win to avoid 10th place. Johnson Park prevailed over Upper Ferntree Gully, dismissing the Kings 27 runs shy of the required target. Set 269 for victory, Ryan Carter (52) led the push, with Jay Colee (47) furthering the cause. But for the Sharks, Sam Shearer claimed 3/55 to dismiss Upper Ferntree Gully for 241. The Sharks maintain the pressure on the top four, sitting in sixth place just 0.3 per cent from a finals berth. Upper Ferntree Gully will be looking to secure a spot in Norm Reeves Shield, currently in ninth, 0.04 per cent ahead of their cross-town rivals. Knox Garden’s faint finals hopes remain, the side a mathematical chance for finals after defeating Belgrave. Chasing the Pies’ 211 from last week, it was a day to remember for Peter Dunlop, reaching an undefeated 90 alongside Mitch Gregory (48) to secure the points, reaching 7/212. Thyler Argoon led the charge for the Pies, his 4/51 the pick of the bowling. The Falcons sit 16 points behind calculations and would require an outright win over Upper Ferntree Gully next round, a final round victory over Ferntree Gully and results to go their way in order to play in March. For Belgrave, they remain a game clear of relegation battle, sitting in eighth place three matches behind Knox Gardens in seventh. In Decoite Shield, Mountain Gate had a day to forget against a dominant Lysterfield. After the Beavers reached 4/340 last week, they dismissed their visitors for just 35, with Lachlan Dobson claiming 7/20 as part of a 10-wicket match, with Tim Chivers claiming 3/13. In the second effort, Cameron Cosstick (4/24) and Dobson (3/20) again caused grief, claiming a full 10 points by dismissing the Gators for 60. The Beavers now sit 16 points clear, with a maximum potential of 16 points available to the chasing pack. Olinda took honours in the battle of the Mountain, with Taf Kamungozi staring in its victory over Monbulk. With 221 on the board, the Swans saw off the visitors, well-served by Jason Fraser (54). Kamungozi claimed 6/72 from his 30 overs to dismiss Monbulk for 181. The win saw Olinda jump to seventh place as part of three teams now locked on 18 points. The Hawks slipped to third on the ladder. South Belgrave capitalised on the Hawks’ loss, assuming second place following a win over fellow top four aspirants Knox Gardens. The Falcons were looking to reel in South’s 232, with Jay Wagner leading the scorecard with 46. However Cameron Smith (4/51) and Mark Baker (3/28) had other ideas for South, dismissing the visitors for 147. Knox Gardens remains in fourth place, a game inside the top four with two rounds remaining. Rowville’s late season push continued, defeating St Johns Tecoma. Setting after the Hawks’ 259, the Saints’ Jake Sali (66) continued his fantastic form of starts, while Trent Pitts reached 48. Tom Nash took 5/28 to claim the win for the Hawks, who were dismissed for 217. Rowville is now fifth and a game outside of the four, with St Johns Tecoma a game back in sixth place.